The Mineralogical Society of America sponsored a short course on Contact Metamorphism, October 17-19, 1991, at the Pala Mesa Resort, Fallbrook, California, prior to its annual meeting with the Geological Society of America. As reviewed in Chapter 1, contact aureoles have unique attributes for elucidating the processes and controls of metamorphism. Within the last two decades there has been considerable evolution in our knowledge of metamorphism. This evolution spans a wide range of scales from submicroscopic analysis of grain boundaries through to regional scale analysis of contact metamorphism associated with batholith terrains. Geological sciences is becoming increasingly multidisciplinary in nature. Traditionally, contact aureoles were primarily studied by metamorphic petrologists. Their mapping of isograds and mineral zones in aureoles, coupled with microscopic analysis of the prograde metamorphic evolution of textures, structures and mineralogy, has provided an excellent framework for our understanding of contact metamorphism. However, complete understanding of the processes and controls of contact metamorphism requires a multidisciplinary analysis from a wide range of geological subdisciplines. 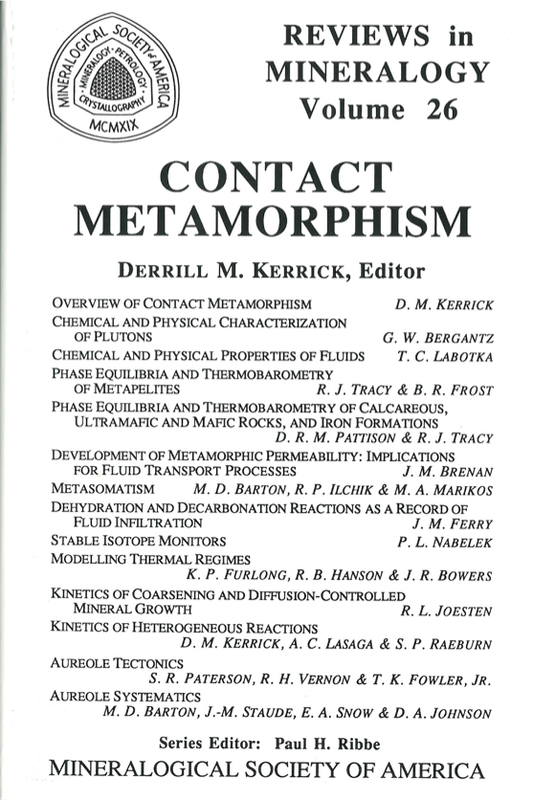 This volume provides a multidisciplinary review of our current knowledge of contact metamorphism. As in any field of endeavor, we are provided with new questions, thereby dictating future directions of study. Hopefully, this volume will provide inspiration and direction for future research on contact metamorphism.